All our Factory 2nd’s are available for immediate delivery or collection. We also carry a large stock in our Factory 1st’s which means you have the option to take delivery or collect your new bed on the day you purchase it and we can easily have the mattresses delivered to your door step. 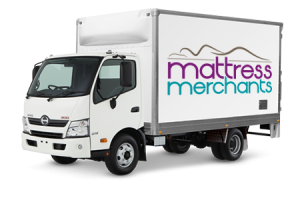 At MATTRESS MERCHANTS we understand that most people have busy schedules and do not have time to wait around for deliveries. We will endeavor to organize a delivery time as close as possible to a time that suits you, even if that means before or after work.